We are fortunate to have an active park and community center. Although we partner with the park, we are different organizations. 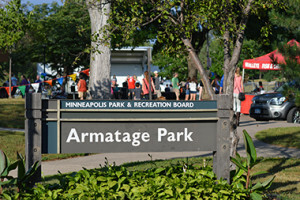 Learn more about park programs and facility details online. Note: Wading pool opens after school closes and will close before the start of school. Other area pools not at a school may be open longer. The MPRB welcomes hockey sticks and ice skates in good condition. Call or visit your local recreation center for donation and drop-off information. Become a coach and play a vital role in guiding and assisting youth through the sports and competitive phase of their lives. We provide certification and training. No experience is necessary, just the desire to help kids grow. Email recvolunteers@minneapolisparks.org or call 612-230-6493 for more information.